The terminology associated with unconventional therapies has shifted a bit over the last 40 or so years. Initially, such therapies were often described as “alternative.” This fit well with the still widespread philosophical position that new or different ways of looking at health and disease which are not part of the scientific tradition are necessary or valuable. But it wasn’t the most effective marketing for these practices since it suggests substituting these therapies for conventional medicine. The dramatic effectiveness of science-based medicine is hard to ignore, and most people aren’t willing to give it up for the promises of unproven alternatives. The term “complementary and alternative medicine” (CAM) emerged to suggest a more flexible approach in which unconventional therapies could add benefits along with, not only in place of, conventional medicine. This is still a popular term, but some advocates of CAM therapies dislike the implication it carries that science-based medicine is the mainstay of treatment and CAM simply “complements” it. And it can be quite clumsy to say. So the latest term that seems to be gaining ground quickly is “integrative medicine.” This suggests a seamless merging of the best of conventional and unconventional medicine. Integrative medicine advocates often present this approach as focused only on the welfare of the patient and willing to use whatever tools are appropriate without any prejudice regarding their origins. What could be wrong with that? Well, to begin with, there is a hidden and untrue assumption behind this approach; that individual practices from both CAM and scientific medicine are equivalent, equally likely to be useful regardless of the philosophies behind them. The problem with this assumption is that there is, in fact, good reason to believe that therapies based in science and validated by scientific research are far more likely to be safe and effective than therapies based on implausible or pseudoscientific theories and validated by historical use, individual anecdotes, and little to no controlled scientific research. Among some skeptics, integrative medicine programs in academic medical centers have been labeled quackademic medicine. This is the integration of implausible and unproven alternative therapies into academic medical practice not, as is often claimed, with the intent of investigating whether or not such therapies are safe and effective but with a pre-existing faith in their benefits. Such integrative medicine programs are founded on a desire to use the platform of an academic institution to give an aura of legitimacy to such practices, and to use the authority of a faculty position to convince veterinary students these are legitimate medical therapies regardless of the evidence for or against them. There are a number of problems with such programs. As Mark Crislip from the Science-based Medicine blog has put it, “If you mix cow pie with apple pie, it does not make the cow pie taste better; it makes the apple pie worse.” In other words, integrating unproven therapies or outright ineffective nonsense with conventional medicine doesn’t improve patient care or outcomes, it makes them worse. And there is growing evidence of the harm this can cause, both directly and indirectly (e.g. 1, 2). Such integrative medicine programs are also, alas, quite successful at conveying the impression that the therapies they promote are evidence-based or widely accepted as legitimate in the medical community even when they are not. And they tend to create this impression among doctors and medical students as well as the public, despite the lack of compelling evidence of effectiveness for most of these therapies. They are very successful public relations efforts. These programs are not, however, very successful at stimulating the research needed to make truly evidence-based judgments about CAM therapies. The clinicians involved in these programs are themselves already convinced their practices are effective, so they tend to produce research at high risk for bias. And when research results are not supportive, they are ignored or rationalized away since the self-reinforcing clinical experiences and anecdotes most doctors rely on do seem to support what they are doing, and this has more psychological impact than less influential, but more reliable, objective research. Rarely do integrative medicine programs discourage even the most obviously useless of CAM therapies, such as homeopathy, but they tend to encourage acceptance of the whole mélange of unrelated and ideologically affiliated practices within the CAM family. The marketing and PR campaign under the label of “integrative medicine” have begun to appear in veterinary medicine in the last several years, thanks largely to the recent availability of significant funding from proponents of alternative medical practices. For example, I recently wrote about a grant of $10,000 the American Holistic Veterinary Medical Foundation gave to the veterinary school at the University of Tennessee (UT) to promote alternative veterinary medicine. Based on the fundraising and marketing materials of the AHVMF, this organization certainly seems to share the typical marketing and PR goals of most integrative medicine programs. There is some talk of research, but always with the emphasis of demonstrating to the skeptical mainstream that CAVM practices are safe and effective, which is already taken as a given. And there is much talk of widening the appeal and availability of CAVM therapies, regardless of whether the evidence supports their use. And based on the blog post written for the AHVMF by the grant recipient at UT, this certainly seems to be the agenda for the leadership of the integrative medicine programs the AHVMF is supporting there. Dr. Donna Raditic, who runs the integrative medicine service, made it clear in a blog post on the AHVMF site that she has no doubts about the effectiveness of CAVM and seeks to make alternative therapies more popular and acceptable not by conducting objective research but by providing “hand-on” exposure and the opportunity for generation of anecdote and personal experiences that are, despite their unreliability, so persuasive for most of us. The AHVMF has also given a total of $110,000 to the Integrative Medicine program at Louisiana State University’s (LSU) School of Veterinary Medicine. The LSU integrative medicine folks have, of course, been actively promoting the AHVMF fundraising efforts, and they have hosted as speakers a number of prominent advocates of a variety of alternative therapies. The web site for this integrative medicine division, which was apparently made possible initially by a substantial private grant, also talks considerably more about promoting alternative therapies than about researching their safety and efficacy. The grant comes from individuals with a strong interest in promoting alternative therapies, and it has been used, in part, to send staff and students for training at the Chi Institute and the annual convention of the American Holistic Veterinary Medical Association, two of the biggest promoters of unproven and even clearly ineffective and pseudoscientific alternative practices. Despite the numerous connections between these integrative centers and prominent advocates of unproven and pseudoscientific therapies, and the clear bias evident in the promotional materials which talk not about testing CAVM practices but promoting them, it is possible these centers could be useful if they have a commitment to rigorous scientific research and if they are willing to openly rejecting therapies which fail to prove their value in such research. I would like to think that the academics involved in these centers understand the indispensability of evidence-based medicine and scientific validation of claims for any therapy. However, starting from a position of embracing alternative therapies, talking about promoting rather than investigating them, and exposing students to the pseudoscientific rationalizations of homeopaths and other CAVM extremists from the AHVMA all suggest that these centers are more of a marketing and PR effort on the part of true believers than a genuine academic endeavor to find out the truth about these therapies. So what sorts of services are these programs offering and promoting? The LSU center advertising a variety of therapies, including so-called Traditional Chinese Veterinary Medicine, which includes acupuncture and herbal therapies. I have written extensively about TCVM and acupuncture before. TCVM is a hodgepodge of pre-scientific and pseudoscientific vitalist myths used to identify not disease as it is understood in science-based medicine but “imbalances” in energies and other metaphorical entities which cannot even be proven to exist, much less to play a vital role in health and illness. These mythic concepts are then used to guide the application of therapies which undoubtedly have real physiological effects but which have not been demonstrated to be safe or effective in maintaining or restoring health. Herbal therapies, for example, are among the most promising CAVM treatments because they contain pharmacologically active chemicals. However very few have been consistently shown to be truly effective for any disorder in any species, and there is ample evidence that they, or contaminates they contain, can be very harmful. Acupuncture is the most popular form of CAM after chiropractic (though still not as widely used as proponents would make it seem). Despite extensive research over decades, it has not been convincingly shown to be anything more than an elaborate and rather potent placebo. To be clear, that doesn’t mean it heals disease through the power of the mind. It means that it can cause us to believe we are better, and even to feel better, when our disease actually hasn’t changed, and it is no more effective than randomly poking us with needles or even toothpicks. Such a placebo might have a meaningful benefit in treating subjective symptoms such as nausea or pain in humans, so long as it was not substituted for therapies that actually affect the disease directly. However, there are serious doubts about how effective such a placebo ritual and non-specific irritant might be in animals, particularly since they cannot report how they feel and must rely on us to judge their comfort, and it is clear that we experience a significant placebo effect on their behalf. I have seen patients in obvious and serious pain whose owners felt they were fine thanks to acupuncture treatment. The LSU integrative service offers a few other therapies, some of which are a bit of a bait-and-switch in that they are frequently claimed as CAM even though they are widely used by conventional veterinarians (such as physical therapy and nutritional therapy). The most egregiously ridiculous kinds of therapies, such as homeopathy, flower essences, energy healing, and so on, are not listed and, I hope, not offered by the LSU integrative medicine service. And the folks at LSU are careful to emphasize that they do not restrict the use of established, science-based therapies. So while the hazards of direct harm to patients from unproven therapies are probably quite small (both acupuncture and herbal products can be dangerous), the bigger problem is that pseudoscientific practices such as TCVM are offered and presented to students and clients as if they were just as reasonable as science-based practices, despite the many reasons they are not. There is less readily accessible information on the services offered in the integrative medicine department at UT. Dr. Raditic is certified in acupuncture (not, of course, a recognized medical specialty in human or veterinary medicine) and is apparently pursuing a board certification in nutrition (which is a recognized specialty area). As a member of the AHVMA, she is at least to some extent affiliated with proponents of other, less reasonable CAVM practices, but I have no way of knowing what her views are on these or the extent to which she practices, teaches, and promotes them. The UT Facebook page recently promoted an “educational” event in which the “National Acupuncture Detoxification Association” will be teaching “ear acupuncture” Both the concept of detoxification, through acupuncture or other means, and the various systems of ear acupuncture are pseudoscientific and unproven concepts that certainly shouldn’t be promoted at a veterinary medical college. Dr. Raditic is also reported to offerchiropractic, cold laser, and herbal/dietary supplement therapies. These are all fairly typical CAVM therapies with mixed, but generally poor, evidence concerning their effects. Cold laser and some herbal or supplement therapies are at least plausible and might have benefits in some cases. Chiropractic, however, has little claim to any legitimate veterinary use based of the bogus theory behind it (the “vertebral subluxation complex”) and the lack of reliable evidence of safety or benefit. Reportedly, the University of Florida College of Veterinary Medicine has also received $10,000 from the AHVMF for its acupuncture program. Some of the faculty members associated with the integrative medicine program at UF are also affiliated with the Chi Institute, the largest organization teaching TCVM and acupuncture in the U.S., and other organizations promoting all aspects of TCVM, not merely acupuncture. Educational materials provided by the UF integrative medicine web site promulgate some of the common myths about veterinary acupuncture (that it is an ancient practice validated by this history, that there are identifiable specific points along “energetic channels” that can be stimulated to achieve specific therapeutic effects, that it has been validated for specific indications, such as pain, by controlled research, etc). 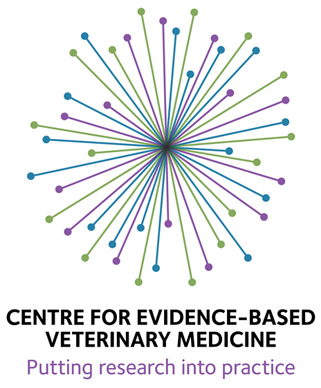 This does not suggest an open, evidence-based approach to TCVM but a pre-existing belief that it is effective despite the lack of compelling research evidence to that effect. So the efforts of proponents of integrative veterinary medicine appear directed at the same goal as such programs in human medical centers. They are not so much concerned with finding out if these therapies are safe and effective since they already believe this to be true based on their underlying theories, personal experiences, historical use, and other non-scientific sources of evidence. Instead, they wish to make such therapies comfortable and familiar to students and practitioners of scientific medicine so they will be more readily accepted, regardless of the state of the evidence. And while for now they are avoiding promotion of the most egregious nonsense, such as homeopathy, energy healing, dowsing, they do not appear to be making any effort to distance themselves from such practices or those who do promote them. TCMV and acupuncture share much philosophical and ideological ground with these sorts of practices, in particular a feeling that validation through scientific research is a nice extra with PR value but not essential to judging the value of a therapeutic practice. It is difficult, then, to see how these centers can be anything other than marketing efforts or contribute the kind of rigorous data and unbiased evaluation needed to separate those CAVM therapies that may have real value from the useless nonsense. 32 Responses to What’s Wrong with Integrative Veterinary Medicine? What’s wrong with integrative medicine? Nothing. It’s awesome. Many dogs, including our own, can testify to that. Yes, well, I’ve already talked about why testimonials aren’t reliable. You either believe science is necessary to find the truth, or you believe everything is true so long as somebody somewhere believes it is. VIN.com just started a hyperbaric folder yesterday. It’s not in the sCAM section where all the intrgrative medicine is found. No post yet other than a test. HVM is partnering with veterinary hospitals by providing companion hyperbaric oxygen therapy chambers with no capital outlay in order to bring this adjunctive treatment modality to their patients for treating conditions related to disc disease, musculoskeletal injury, trauma, internal medicine, post-surgical healing, wound healing and more. I guess you could lurk the folder and see how popular it becomes. My guess is that it won’t be too busy. Art and Skeptvet, do you know what the risks are with hyperbaric oxygen chambers? Beyond that of mechanical failures and operational misuse, (the story of the horse and fire, tragically comes to mind). From what the vets tell me he provides the chambers to vet hospitals n/c and there’s a computer meter on them and he charges or gets a % of usage. My favorite story so far was a CE meeting where the speaker said if a family member had a stroke you should rush them to a hyperbaric chamber. V.T , I think they blind some human premies in the early days with o2 in early incubators but I suspect the risk will be people will take the pet to the chambers rather than the specialty practices that not have them. There seems to be profit in doing referral back surgery in vet medicine since the general practioner will no longer do them (they are fun to do and easier than a large fat dog spay) Since they have no MRI. Putting doxies in boarded internal medicine specialty hyperbaric chambers after back surgery is a big sell packaged deal in my area. Never mind the human prospective randomized back surgery trials showing no long term benefit from back surgery. If I had a lipoma setting next to my spinal cord I would want it removed if symptomatic so I “believe” there is a place for some back surgery but suspect from the human data most dogs cut go from back surgery that will not help to a hyperbaric chamber that will not help. I don’t know much about hyperbaric therapy, so I don’t have strong opinions on it. I believe there are some established uses (treating decompression sickness and carbon monoxide toxicosis), but my understanding is the data on wound healing in humans is preliminary, and there isn’t much in vet species. Not sure what the safety profile is either. My wife has been a nicu nurse for over 30 years and has never seen a newborn go into one. Human hospital have chambers along the coast here because there is a lot of scuba divers. I always thought if they were really any good for infection it would be for Tetnus. The person going to promote them on vin is well funded. He had his dog cloned. Anyone know how much a industry folder on vin cost? I guess I’m baffled how one can promote hyperbaric therapy without evidence, particularly in vet medicine. Does the guy in the new VIN folder have evidence no one else does? If it’s not woo, what would you call it? So, UFCVM has been using hyperbaric therapy without evidence, now they will “begin clinical trials this summer”. I wonder if owners had properly informed consent prior to having their pets treated. Do either of you know how this is approved (i.e., FDA, medical boards, etc)? V.t.,I have read that the government (Medicare ?) will pay for human hyperbaric wound Care if standard wound care has been tried and is not working. Some vets in Florida have bought old human chambers from human hospitals but company’s like the one now on vin (hbm) are “popping” up to sell or rent them. When I owned my own scuba tanks the law required me to have them pressure tested ever 5 years. Since these hyperbaric chambers are killing humans and animals they are treating in Florida when they blow up I suspect there will be new laws passed so at least the rental chambers get inspected. Check out this HBOT website. Really really professionally done website. The interview with the internist is done better than most newspaper team interviews. The specialty clinic I Refer to so far does not have one or if they do are not promoting it. In Florida some pet HBOT treatment centers are not even in veterinarian offices. It doesn’t appear that regulation is too strict (lots of exemptions), and I can’t find anything on regulation in vet med, which makes it even scarier, particularly if using old/used chambers, insufficient training, and use without research and evidence to suggest it is as safe as promoted. This seems to be in one of those many, large gray areas. There is, for example a National Board of Diving and Hyperbaric Medical Technology which offers certification for veterinary professionals veterinary hyperbaric medicine. The certification this group offers for human health professionals, does not appear to be recognized by the American Board of Medical Specialties, so it appears to be one of those “do-it-yourself” certification organizations, not unlike those set up for homeopathy and other CAM. And the organization even states outright on its web site that “Clinical use of hyperbaric therapy in horses is yet to be scientifically proven by quality research and is currently mostly anecdotal and results based. There is some research data in laboratory animals to support its efficacy in small animals.” So even the promoters don’t claim there is much real data. There is also a Veterinary Hyperbaric Medicine Society, apparently based at the University of Tennessee (which I’ve discussed recently in the context of their “integrative medicine” program and association with the AHVMA, FWIW). The web site is mostly empty, but it does provide a brief list of references, none of which represent controlled clinical trials of hyperbaric therapy in veterinary patients, and a small collection of anecdotes (aka “case reports”). So again, it doesn’t seem like even proponents are presenting much evidence to support the safety and efficacy of this practice. 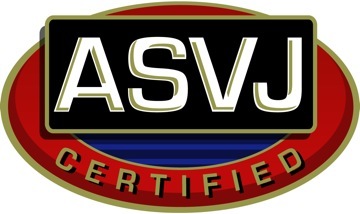 Thanks, Skeptvet, I fully suspected it would be a do-it-yourself certification organization. I just hate seeing this promoted without evidence in vet med, considering there are the inherent risks. And, thanks for the reading material! I’d think medical scientists would largely agree on what counts as sufficient evidence for a given intervention before we send it out for mass consumption. Personally, I’d like two double-blind placebo controlled trials showing HBOT is safe and effective for pets before we ring up the marketing boys. When treatments get pimped before they’re proven, it’s harder to do the trials. Clients aren’t motivated to participate in studies when they can get the treatment without a hassle. Blinding is harder because clients become familiar with the actual product. And a money-making industry becomes established that will challenge inconvenient study results in an unfair manner. The process of resolving a manufactroversy around some popular but bogus treatment might take decades. Meanwhile, clients will be ripped off. It’s no fair moving the evidential bar to suit. Look at the anti-vax crowd and the vaccine-autism crowd. Both camps emphasize study weaknesses and limitations beyond what we do for other medical interventions. The pubic can’t see the special pleading and are fooled. Therapies accepted by virtue of supporting scientific evidence can be later rejected on the basis of new scientific evidence against them. We see that all too often therapies accepted without evidence are not rejected when controlled studies fail to show efficacy. For this reason, we must define clearly the evidential bar for novel treatments. And we must insist that the treatment not be offered to the public until that standard is met. The study by Fife out of Texas A&M is:Fife WP, Freeman DM. Preliminary Clinical Study on the Use of Hyperbaric Oxygen Therapy for the Treatment of Lyme Disease. College Station, Texas: Texas A&M University Hyperbaric Laboratory, 1997. Above is a unpublished 16 year old study being used to promote Lymes disease treatment with hbot on vin.com as alternative/complimentary to doxytetracycline. Yes, I’ve been involved in those discussions on VIN. Unfortunately, it is against VIN policy to post other people’s comments from VIN threads here, and I’ve been specifically asked not to do so in past discussions, so I’ve had to remove the direct quote you provided, Art. I will, however, post copies of my own comments in that discussion (redacting anything that might identify other individuals), so at least some of the subject matter is available here. I too failed to find any published clinical trials to support this use of HBOT, and Lyme Dz is not on the FDA list of approved indications for HBOT. The only literature I have seen consists of unpublished case reports and uncontrolled, unblinded trials in humans. The spirochete B. burgdorferi is a microaerophilic organism carried by the Deer tick (Ixodid) and transferred to humans and other mammals by its bite. Symptoms often begin by a bulls-eye rash and erythema migrans. Symptoms may include pain in joints and muscles, sore throat, fever, swollen glands, and mental ” fogginess”. If not diagnosed within the first one or two months, the disease may become a chronic infection. At that time it apparently becomes sequestered in fibroblasts and other cells which, in turn appear to protect it against effective treatment by all known antibiotics so far tested. The disease is difficult to diagnose without serological findings and requires the skill of a highly qualified physician, experienced in treating this disease. Before treatment, the subjects had an average score of 114.12 (of a possible 270), and after treatment they averaged 49.27. This reduction of 64.85 points was statistically significant in a paired t-test (p=0.000). The variability of the scores from patient-to-patient declined as well after the treatment series. The standard deviation of the scores was 56.00 before and 44.14 after treatment. The p-value of this reduction is 0.057 in a Fisher’s F-test. Further, 58% of the respondents had score reduction of 41.86 points or more. Disclaimer: The FDA has not approved HBOT as a treatment for lyme. For a list of FDA approved conditions click here. If all you have to offer is suggestive uncontrolled pilot data never followed up, claims that real RCT data can’t be generated due to lack of resources and the evil power of Big Pharma (despite the fact that some companies and veterinarians are making a profit on this therapy already), and the suggestion that we should trust anecdote alone (much of it from individuals with a potential financial conflict of interest as they are selling the therapy of the equipment) as sufficient evidence of safety and efficacy to employ the therapy, I’m afraid you don’t have a very strong case. You’re absolutely right that the welfare of the patient is the ultimate goal. Unfortunately, reliance on anecdote and extrapolation from theory or from in vitro and human research alone to validate the safety and efficacy of a therapy places patients at risk. While we often have to make do with inadequate data, particularly in the early stages of developing a new therapy or when looking for better treatments for a disease that we cannot yet manage in demonstrably effective ways, this should always be done with great caution and skepticism, and all possible efforts to generate better data should be made. Unaided human judgment simply isn’t very good in this context, as our history of thousands of years of reliance on ineffective and unsafe therapies (e.g. bloodletting) demonstrates. This is, after all, why we need science in the first place. I always appreciate the enthusiasm people have for new ideas since it is the prime driver of discovery. But unfortunately, most good ideas in medicine turn out to be mistaken, and if we really want to benefit our patients we have to channel our energy into rigorous objective scientific evaluation of our hypotheses, and we must be willing to embrace of abandon those which prove true regardless of our a priori beliefs. I read your last post as suggesting that maybe such efforts are under way, and if so I look forward to hearing more when you have new data to share. I appreciate that there is existing animal model and human clinical literature concerning HBOT, and I understand there are indications for HBOT that have been validated in humans by appropriate clinical research and approved by the FDA (which I believe involves a bit more than just the issue of insurance reimbursement). We were discussing, however, the more specific question of the use of HBOT for treatment of Lyme disease in veterinary species. I have not found, and you have not referenced, any published, controlled clinical trials of HBOT for this indication in any species, including humans, so it seems appropriate to consider this an unproven application. For the profession at large to adopt HBOT as a therapy for Lyme Dz, for example, should require more than uncontrolled clinical observations and human case series, especially given the inherent difficulties of definitive diagnosis and spontaneous resolution seen with this disease. As far as the more general issue of what constitutes adequate evidence to justify the clinical use of a given therapy for a particular indication, that is a complex and nuanced subject for which no rigid protocols can be applied in all cases. Certainly, anecdotal evidence is weak and untrustworthy, so presumably it should only be relied on when the need is great and no better evidence. And clearly large, premium quality RCTs are optimal but seldom available in veterinary medicine. However, there is an enormous grey area between the two, and plenty of room for different opinions about how much and what kind of evidence should be sought in any particular situation. As Dr. X pointed out in the original thread, extrapolating from in vitro, animal model, and human research is the beginning, not the end of the process of evaluating a therapy for veterinary use. While most aspects of mammalian physiology are generally quite conserved across species, we all know that there are important exceptions. Rats and mice and dogs and humans are different in terms of basic physiology and in terms of environmental risk factors, concurrent disease and treatment, and many other variables that influence whether or not a therapy that is useful in one species will be safe and effective for another. I find ibuprofen quite useful, for example, but I don’t give it to my cat. You seemed, in the other thread, to imply that clinical trials of HBOT for specific indications in veterinary species were not likely to happen (due to resource limitations) and that we should be comfortable making widespread use of this therapy without such studies. If this is truly what you meant, I’m afraid I have to disagree. As Dr. X also pointed out, it is often possible to accomplish research even without the support of a big pharmaceutical company. And those who do sell the equipment for HBOT or the therapy itself ought to be expected to have some responsibility to support rigorous scientific investigation of its potential risks and benefits. Without such research, however funded, there will remain significant uncertainty about the safety and efficacy of this therapy in veterinary species no matter how many positive anecdotes and clinical experiences people report. WELL DONE, Skeptic, well done! Todays hyperbaric report is that hyperbaric oxygen therapy stimulates the proliferation of bone marrow derived stem cells with the claim that this avoids the need for surgery.